Source: John Wesley, Charles Wesley, Hymns and Sacred Songs. Fourth Edition. (Bristol: Felix Farley, 1743), pp. 144-146. Sing ye Heav'ns; and Earth reply. Christ hath burst the Gates of Hell ! Ours the Cross; the Grave; the Skies! Partners in our Parent's Fall? In our Heav'nly Adam live. 10. Hail the Lord of Earth and Heav'n! 11. King of Glory, Soul of Bliss! * "Dying once, He all doth save." Change noted in the 1868 reprint of Vol. 1, The Poetical Works of John and Charles Wesley. Compared to G. Osborn, ed., The Poetical Works of John and Charles Wesley. Vol. 1. (London: Wesleyan-Methodist Conference Office, 1868), pp. 185-186. “Reprinted from the Originals, With the Last Corrections of the Authors.” Note the change in this edition to verse 4. No other changes occur except punctuation and capitalization. I was unable to view the 1739 edition of Hymns and Sacred Songs. It is not found in the 1742 edition, but is found in the 1743 edition. It is also included in Vol. 1 of The Poetical Works of John and Charles Wesley (1868), which was said to be a reproduction of the 1739 edition. 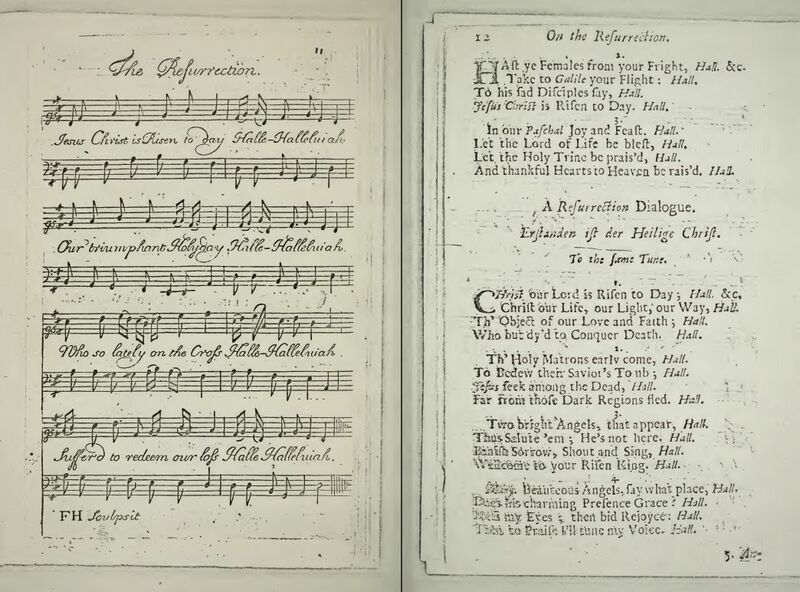 The hymn is a variation of an earlier hymn, Jesus Christ Is Risen Today. Also found in The Book of Christmas Hymns (London: T. Nelson and Sons, 1868), pp. x-y. Pages 88-91.